World Teachers' Day, celebrated annually on 5 October, focused this year on the right to qualified teachers. 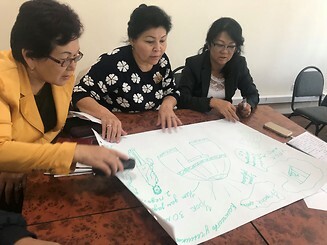 Considering that teacher educators have a vital role to play in training qualified teachers, UNESCO Almaty Cluster Office marked the occasion by organizing the Workshop for Teacher Educators on Mainstreaming Education for Sustainable Development in Kazakhstan. In collaboration with the National Center for Professional Development “Orleu”, the workshop trained 25 teacher educators, who deliver capacity building programs to teachers throughout the country. 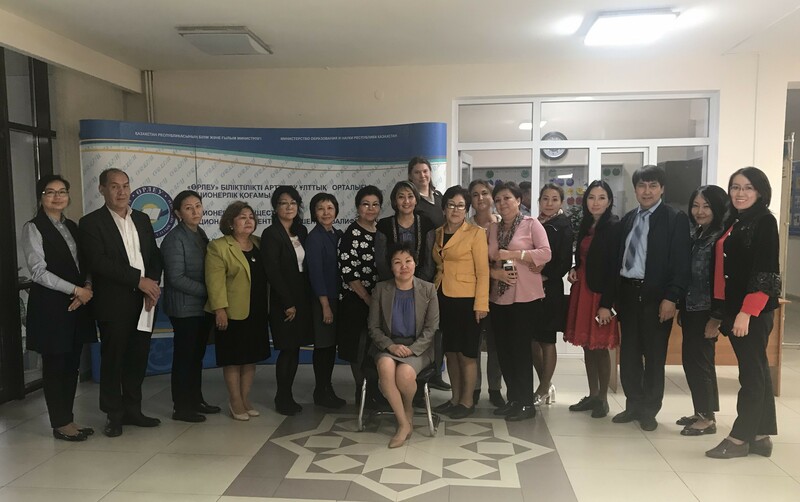 During the opening of the workshop, Lina Benete, Head of the Education Unit at UNESCO Almaty, noted the importance of qualified teachers to achieve quality education and that the workshop was a start to a long-term collaboration with Orleu in the field of training and retraining of teachers in Kazakhstan. The main workshop objectives were to provide a common understanding around key concepts and principles of transversal competencies and Education for Sustainable Development (ESD) and ensure practical learning on developing activities, cases, interactive tests and projects for learners to instill competencies for sustainable development. The workshop included group work to develop an ideal lesson based on the concept of ESD as well as all presented tools such as Disney’s 3 Chairs method. Orleu teacher educators from its 16 branches across Kazakhstan provide annual professional development courses for more than 73,000 teachers at all education levels.